Rory Cochrane joined the Bar following six years as a solicitor advocate in the dispute resolution division of Herbert Smith Freehills. He has particular expertise in banking litigation (including FCA enforcement proceedings), insurance and reinsurance, and international commercial litigation and arbitration. Since coming to the Bar, Rory has appeared many times in the High Court, County Court, and arbitral tribunals. Rory has assisted on two of The Lawyer’s Top 20 cases of 2015 and 2016 (the Cattles litigation and the Construction Industry Vetting Group Information litigation). Rory contributed to the 2015 edition of MacGillvray on Insurance Law (Sweet & Maxwell), Chapter 13 (Conflict of Laws) and was a Teaching Fellow in Private International Law at University College London (2013 to 2017). 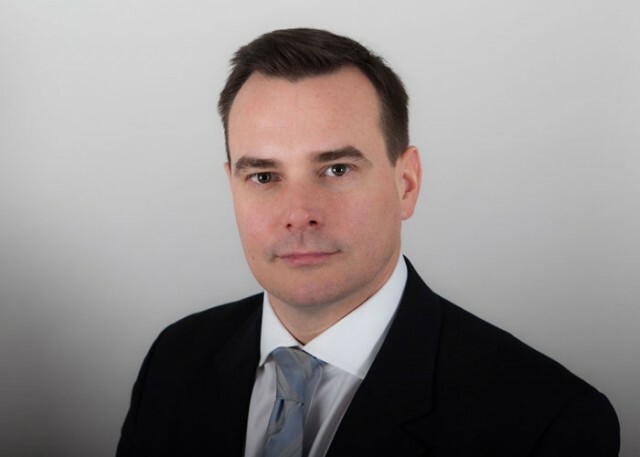 Rory has developed a practice at the Bar in commercial disputes in banking and finance, insurance and reinsurance, stockbroking, aviation and energy industries. He has particular experience in arbitration, which makes up a significant part of his practice. A confidential LCIA arbitration - led by Andrew Burns QC on an arbitration arising out of a partnership dispute in Russia and England (instructed by Duane Morris). Construction Industry Vetting Group Information litigation – one of The Lawyer’s Top 20 Cases of 2016 – Group Litigation involving claims by over 700 claimants bringing claims for defamation, unlawful means conspiracy, misuse of confidential and private information and breach of the DPA. Cattles v PwC: acting on disclosure issues for PwC in a £1.6bn auditor’s negligence claim arising out of the collapse of sub-prime lender the Wellcome Group. One of The Lawyer’s Top 20 Cases of 2015. Shagang Shipping Company Limited (in liquidation) v HNA Group Company Limited: appeared in the Commercial Court for the Claimant responding to an application for an order under CPR 31.22 for documents in the proceeding to be able to be used by a third party in an unrelated arbitration (instructed by Herbert Smith Freehills). Secondment to Linklaters Financial Regulation Group: acting on a contentious regulatory matter for a major European bank in proceedings before the Financial Conduct Authority. A Company v British Telecommunications Plc: advising BT regarding a restitution claim arising out of alleged overpayments in respect of cancelled services. White v Transalis Ltd: a shareholders’ dispute regarding ownership and control over a company involved in developing online invoicing software. The matter involved an unfair prejudice petition application in the High Court, a dispute over share ownership, as well as a dispute over the ownership of valuable intellectual property. Deraven Limited v GT Steel Recycling DMCC: led by Graham Read QC, acting in English High Court proceedings for a Cypriot company in guarantee enforcement proceedings against a United Arab Emirates company. Re: A Company v The Cabinet Office: instructed to assist with disclosure on a £100m procurement dispute. Overy v Transport for London: successfully appeared at trial for TfL in a County Court payment dispute with a former contractor. Lynch v HMRC: acting for a purchaser of a property in validation order proceedings. Re: British Gas: acting for British Gas in the Companies Court winding up list on numerous winding up petitions. Aerial Vision International S.P.A v Olivemist Ltd: advising an Italian sunglasses distributor in relation to claims against a UK-based distributor’s insolvent estate. Re: A Healthcare Services Company (In Liq): advising former directors of an insolvent company in relation to director’s duties claims brought by the company liquidator. Funding Circle Recoveries Ltd v Palmer: appearing on a personal bankruptcy application in the County Court. Rory' experience as a solicitor encompassed litigation in the High Court and Court of Appeal, as well as ICC and LCIA arbitrations. His practice focussed on large cross-border insolvencies, financial services misselling claims, and competition disputes in telecommunications and other regulated industries. Nortel Networks (In Administration): insolvency proceedings in the UK, Canada and the US. Acted on proceedings in 19 European states, as well as in the US and Canada, in relation to complicated claims arising out of alleged breaches of de facto and shadow directors' duties, and proprietary remedies. BSkyB Ltd v HP Enterprise Services (as a member of The Lawyer’s Litigation Team of the Year 2008): acted in relation to a successful £200m+ claim for fraud and negligence arising out of a $50 million IT contract to design and implement a Customer Relationship Management (CRM) system. Purple Parking v Heathrow Airport: acted for Heathrow Airport in relation to a competition law dispute arising out of valet parking businesses. Ryanair Limited v Gatwick Airport Limited: acted for Gatwick Airport on a number of competition disputes in relation to check-in and baggage charging at the airport. Appeared as junior counsel in a hearing before the Civil Aviation Authority. LCIA arbitration on behalf of a sovereign wealth fund arising out of a US $2 billion investment in a major investment bank. LCIA arbitration for a major insurance company arising out of losses sustained as a result of a multi-billion pound stock-lending programme. LCIA arbitration, with associated Norwich Pharmacal applications, on behalf of a high net worth Russian businessman relating to the control of a multi-billion dollar resources group. Advised an English company in a dispute with a US company in relation to the development and commercialisation of a genetic sequencing technology. Seconded to a market-leading private bank for 10 months in late 2008 to mid-2009. Advised in relation to a high profile investment dispute and media campaign by a prominent investor (including advice in relation to defamation, privacy regulations, and the protection of confidential information). Advised on around 100 misselling claims in relation to retail sales of an investment fund in the Financial Ombudsman Service, or through litigation in the High Court. Advised a major US private equity firm in relation to a transaction in Ukraine, involving consideration of points of conflict of laws and sovereign immunity. Acted in High Court litigation on behalf of a number of US companies in relation to fraud and insolvency proceedings arising out of the management of a US$2 billion property portfolio. Rory has extensive experience as a solicitor in acting for financial institutions in relation to a range of disputes, in particular in FCA/PRA regulatory disputes, and recently completed a secondment in the contentious financial regulation group at Linklaters LLP. Re: Forex Market Fixing and Fraud: seconded to a boutique law firm to assist on a large case involving official foreign exchange rate manipulation and fraudulent misrepresentation. Re: A Bank: Instructed by Herbert Smith Freehills to advise a major bank in relation to the investigation and prosecution of a number of former employees of the bank. Instructions focussed on reviewing documents for relevance and legal privilege (including complicated issues of joint and common interest privilege). Glenmore Capital v Mason: concerned the enforceability of a mortgage against an investor and wife. Residential Loans Ltd v Vines: appearing on a mortgage possession hearing. IS Trading v Matten: appearing at a possession hearing for a borrower in default of loan obligations. Seconded to a market-leading private bank for 10 months in late 2008 to mid-2009, and continued to advise for a number of years following. This included advising in relation to a high profile investment dispute and media campaign by a prominent investor (including advice in relation to defamation, privacy regulations, and the protection of confidential information). Advised on around 100 misselling claims in relation to retail sales of an investment fund. These claims were resolved through the bank’s complaints handling procedures, in the Financial Ombudsman Service, or through litigation in the High Court. Acted for a prominent foreign bank in relation to losses arising out of investments in a fund invested in collateralised debt obligations, floating rate notes and other securities. Advised a stockbroking firm regarding claims arising out of alleged market abuse under the Financial Services and Markets Act 2000. LCIA arbitration for a major insurance company arising out losses sustained as a result of a multi-billion pound stock-lending programme. Advised a number of major banks in relation to alleged breaches of FCA/FSA handbook principles and rules. Rory has recently published an article on conflict of laws issues in European capital markets in the Journal of International Banking and Financial Law. Rory has considerable experience in telecommunications and IT disputes, particularly in regulatory and competition telecommunications matters (particularly working with experts in relation to telecommunications cost modelling issues). Since coming to the Bar, he has also been instructed regularly in a number of disputes relating to telecommunications apparatus under the Communications Code. 24 Seven Communications Ltd v British Telecommunications Ltd: led by Graham Read QC, this case concerns 24 Seven’s alleged creation of "Artificial Inflation of Traffic" ("AIT") under BT’s industry wide Standard Interconnect Agreement. 24 Seven has commenced a multi-million pound claim for allegedly unpaid termination charges, while BT counterclaims for £7 million in respect of charges previously paid which has now been identified as AIT. Virgin Media Limited v Durham County Council: Rory was instructed by Virgin Media (led by Graham Read QC) in this test case under the New Electronic Communications Code. Virgin Media, as part of its plan to roll out fibre broadband to 4 million homes in the UK (Project Lightening) sought orders in the Upper Tribunal (Lands Chamber) to lay fibre cable to hundreds of premises in Chester Le Street across Durham CC’s land. Ongoing cases for British Telecommunication under the Electronic Communications Code: Rory is regularly instructed and appears for BT in disputes under the Electronic Communications Code arising out of the siting of apparatus. Re: The Reducing the Cost of Broadband Directive: advising the Department of Culture, Media and Sport on the implementation of the Reducing the Cost of Broadband Directive (Directive 2014/61/EU). This far-reaching directive provides for access to the passive infrastructure of telecommunications providers, as well as gas, electricity, water and transport providers. Funeven Ltd v British Telecommunications Plc: led by Graham Read QC for BT in a dispute regarding wayleaves pricing under the Communications Code. Povey v British Telecommunications Plc, Chester v British Telecommunications Plc: two cases in which Rory appeared for BT at County Court trials regarding the siting of telecommunications apparatus under the Electronic Communications Code. Thank Sustainable Ltd v Orange Personal Communication Services Ltd: acting for a landowner in a dispute with a telecommunications company over a wayleave renewal. Re: A Private Equity Firm: advising a private equity firm regarding due diligence connected with an investment in a trans-Atlantic submarine cable. Nortel Networks (In Administration): acted for 19 European Nortel subsidiaries in insolvency proceedings in the UK, Canada and the US. This involved proceedings in the UK and Europe, as well as in the US and Canada, and concerned complicated claims arising out of alleged breaches of de facto and shadow directors' duties, and proprietary remedies. Rory also advised over a considerable period of time in relation to the contentious break up of Nortel's global IT system. BSkyB Ltd v HP Enterprise Services (as a member of The Lawyer’s Litigation Team of the Year 2008): acted in relation to a successful £200m+ claim for fraud and negligence arising out of a £50 million IT contract to design and implement a Customer Relationship Management system. BSkyB v Virgin Media: acted for Sky in a dispute regarding prices charged to Virgin Media for wholesale access to Sky's premium sports channels. In Australia, Rory acted on a number of disputes in the Australian Competition Tribunal between the incumbent telecommunications provider, Telstra, and the Australian Competition and Consumer Commission, in relation to access pricing disputes. This included advising on regulatory telecommunications issues, primarily in relation to local loop unbundling, but also fixed-line and mobile interconnection disputes. Advised Telstra's search and directory subsidiary in relation to a number of matters arising out of its marketing and online search business. Advised Telstra's mobile and broadband businesses on a range of regulatory issues including consumer protection legislation, data protection issues, disputes with advertisers, and interconnection agreements. Advised in relation to the Telstra and Hutchison 3G network joint venture, particularly in relation to contractual matters and the Australian telecommunications regime. Rory has also acted in disputes for telecommunications companies in general contractual disputes, and in relation to ancillary businesses such as search and online businesses. Rory has presented a number of seminars with Graham Read QC on trends and issues in telecommunications and competition litigation. Rory has considerable experience in international arbitration both as a solicitor and at the bar, complemented by academic experience as a Teaching Fellow in Conflict of Laws at University College London (2013 to 2017). He has most recently been instructed as junior counsel (led by Andrew Burns QC) on an LCIA arbitration arising out of a partnership dispute in Russia and England (instructed by Duane Morris). Rory is developing a practice at the Bar in insurance and reinsurance. Rory has appeared in many County Court trials for insurers on a wide range of matters. He also recently assisted Richard Harrison in obtaining an anti-suit injunction in the Commercial Court in support of arbitration. He has recently presented seminars to leading insurance firms on matters including stockbrokers’ negligence, the Insurance Act 2015, and the Late Payment of Insurance Claims provisions. Rory also contributed to the 13th edition of MacGillvray on Insurance Law (2015, Sweet & Maxwell), Chapter 13 (Conflict of Laws). He has experience as a solicitor in acting for insurers in general insurance matters including business interruption and life assurance. He also spent 6 months in an Insurance and Corporate Risk division as a trainee solicitor and was exposed to a range of general insurance disputes. At Herbert Smith Freehills, Rory also acted in a confidential arbitration on behalf of a large insurance group in respect of losses arising out of a stock-lending programme, and while on secondment to a major private bank, advised on issues arising out of the sales of a whole of life assurance policy. Rory has advised as a solicitor in relation to professional negligence issues in particular in defending solicitor’s negligence claims, negligent advice in the banking industry and in relation to IT contracts. A Property Developer v A Firm: advising a firm of solicitors in relation to professional negligence allegations arising out of the conduct of property development litigation. A Property Developer v A Finance Broker: advising a property developer in County Court litigation arising out of an alleged failure by a finance broker to secure agreed finance. Davidson v Lea & Company Solicitors: advising on the defence of a firm of solicitors arising out of Stamp Duty Land Tax mitigation schemes. Howard Stone Solicitors v Hamilton Downing Quinn LLP: instructed by a firm in relation to the recovery of disputed fees in circumstances of allegations of professional negligence. Acted for a market leading private bank in relation to a large number of claims for alleged professional negligence arising out of the sales of an investment product. BSkyB Ltd v HP Enterprise Services (as a member of The Lawyer’s Litigation Team of the Year 2008): Acted in relation to a successful claim for fraud and professional negligence arising out of a $50 million IT contract to design and implement a Customer Relationship Management system. Rory has presented to leading City firms in relation to insurance broker’s negligence, and the Insurance Act 2015. He is also a member of the Professional Negligence Bar Association. Rory has considerable experience advising on private international law issues in the context of cross-border disputes, obtained both at the Bar and as a solicitor-advocate with Herbert Smith Freehills. In addition, Rory was a Teaching Fellow in Conflict of Laws at University College London from 2013 to 2017, and has recently published an article on conflict of laws issues in European capital markets in the Journal of International Banking and Financial Law. Rory has considerable experience in financial mis-selling cases, particularly in the context of FCA regulatory enforcement action. Rory recently completed a secondment in the contentious financial regulation group at Linklaters LLP. While a solicitor with Herbert Smith Freehills, Rory advised on over 100 mis-selling claims arising out an asset-backed life assurance bond, and acted for Coutts in a high-profile mis-selling dispute in the High Court (settled at trial). Rory was also seconded to RBS Legal for 10 months. Rory is regularly instructed on mis-selling claims for borrowers against finance brokers and/or banks. A multi-million pound contractual dispute arising out of a hire contract for a mobile oil platform. A dispute between parties to a joint venture regarding exploration obligations. Dispute between electricity generators supplying major mining projects.